Happy belated (by 22 minutes) birthday!! Man, I missed it. Hope you had a great one, and obviously celebrated it successfully this weekend. Skol, Vikings! It's his birthday, I have throw him a bone. Dang, I missed this one. Happy Belated Birthday, Getslow!!!!! Missed it on here, glad I caught it on FB. 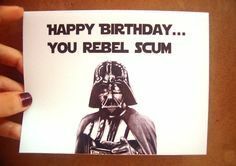 Hope you had a great day, @Getslow!